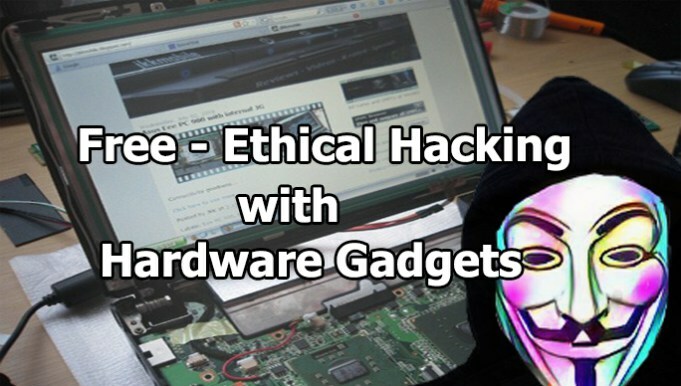 We are introducing a Free Udemy Course Ethical Hacking with Hardware Gadgets. It covers USB attacks, USB Rubber Ducky, HID Attacks, BadUSB, keystroke injections, WiFi jamming. How a keystroke injection attack works and gift USB sticks like USB Rubber pet and whereas show you ways to jot down your own scripts to take advantage of this vulnerability. In a series of lecture i’ll show you ways you’ll be able to build a lower-cost version of the USB Rubber pet by exploitation low-cost Chinese created development boards that area unit compatible with the Arduino platform. WiFi Jammers or to decision them a lot of properly WiFi deauthers, square measure primarily a awfully simple means of kicking everyone out from a particular Wi-Fi network and if wished, creating the Wi-Fi network useless. This section is handling a glorious vulnerability within the IEEE 802.11 (Wi-Fi) protocol even with WPA2. whereas the information you’re transferring by the Wi-Fi network is encrypted and higher protected, the matter square measure the thus known as management frames that don’t seem to be invariably attested.